A weekly special conversation with musicians to get to know their life that is separate from music. 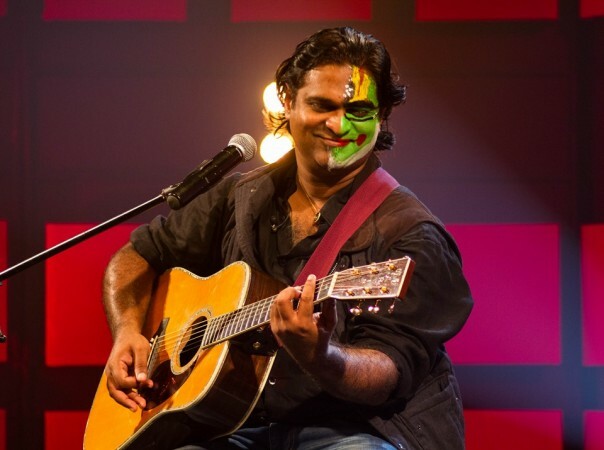 Bangalore-based singer-songwriter Suraj Mani is perhaps best known as the former vocalist of Kerala-based rock band Motherjane. Over the past few years, he has established himself as a solo artist and also performs with his own band, Suraj Mani and The Tattva Trip. He is widely regarded as one of the most intense rock vocalists of the Indian independent music scene and is generally quite a serious man by appearance. But did you know that he had a light-hearted side too? Check it out in this up, close and personal conversation, and discover things you probably didn't know about him. A cartoon character you adore. It has to be Calvin from "Calvin and Hobbes." Calvin has a multi-layered character. You can understand and relate to him in so many levels. He is simply fascinating. If you were a superhero, who would you want to be? I would love to be Daredevil. He is one character who takes up a problem and deals with it very creatively. In life, I like to do that myself. A book you cannot live without. There's a book called "The Three Laws of Performance" by Steve Zaffron and Dave Logan. It was life-changing to me. It actually puts so many things that we already know into actual workable techniques. A movie you can watch over and over again. "Shawshank Redemption." I am a sucker for people who believe that they can do more than are currently doing. If you were an actor, which role would you like to play? I would be honoured if I get to play the role of Watson in "Sherlock." And that is simply because he gets to observe one of the most fascinating human beings very closely. Come to think of it, what Watson saw was probably more fascinating than what Sherlock did. Current celebrity you would like to date. Most embarrassing situation you have faced. Craziest thing you have ever done. The craziest thing I have ever done was getting into a rock band. I got ragged in an engineering college and started singing. If you weren't a musician, what would you have done with your life? I have always wanted to stay in the creative field. So, I think advertising would have been my calling. Listen to "Mahabali" by Suraj Mani & The Tattva Trip below.